Product prices and availability are accurate as of 2019-04-12 09:29:33 EDT and are subject to change. Any price and availability information displayed on http://www.amazon.com/ at the time of purchase will apply to the purchase of this product. 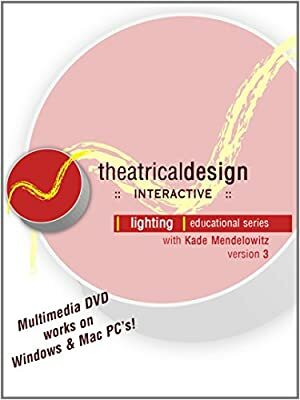 Theatrical Lighting Design Interactive is a complete interactive learning tool for the development of knowledge and skill in the art and practice of lighting design for the stage. 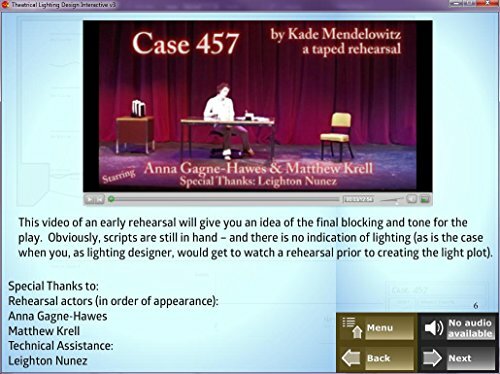 Utilizing audio, graphics, video, animation, text and a powerful and intuitive interface, a student discovers and implements the very practical skills of lighting for the stage. There are hundreds of audio clips & tips throughout the program. 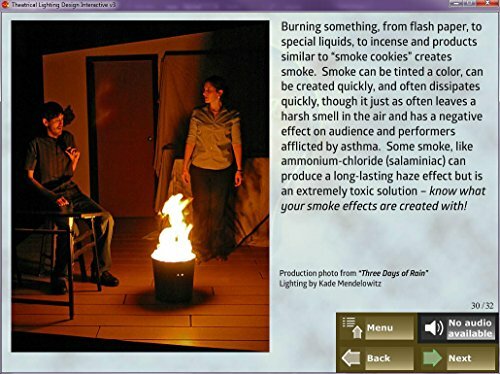 By combining text, audio and graphics (including video and animation) you learn through a completely immersive experience, which helps you understand. If you are a more aural learner, this DVD will reach you better than a typical textbook, which is primarily text based. You are in complete control of the speed of the program. Over 425 full-color photographs are used liberally throughout the disc - not just a few "plates". 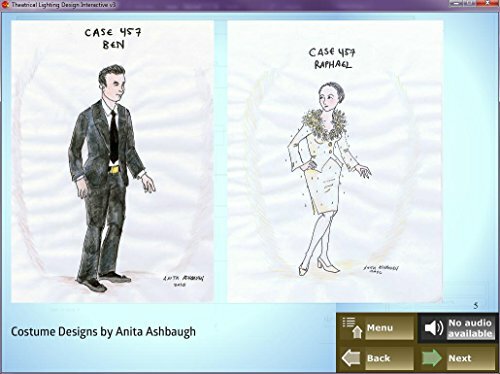 There is a mixture of production photos and models; making use of images that demonstrates concepts. 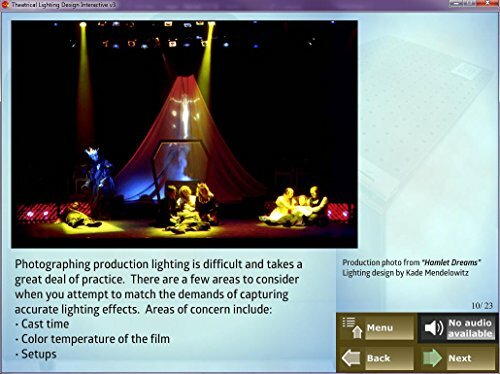 Over 20 video clips demonstrate theories, and give you a more personal connection to the subject of lighting. Dozens of animations and unique cut-away views demonstrate theories in a way typical textbooks cannot compete with. The included Mini Light Lab is an extremely useful and flexible tool which lets you experiment with a collection of models and the 11 standard lighting positions (each with over 100 color gels). 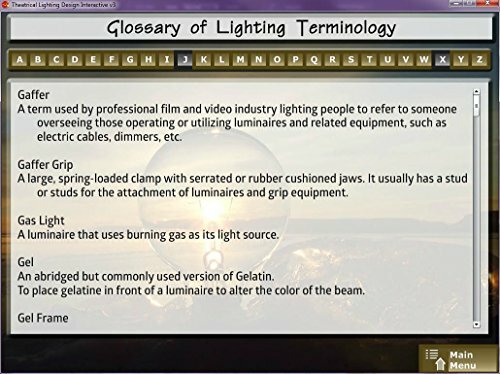 Look up the definitions of lighting terminology in the included glossary of lighting terminology.